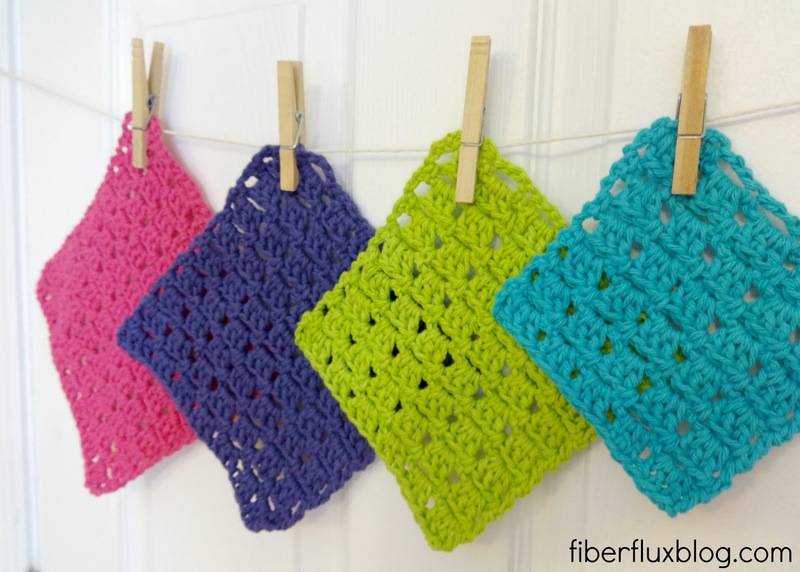 Fiber Flux: Free Crochet Pattern...Sparkling Clean Dishcloths! 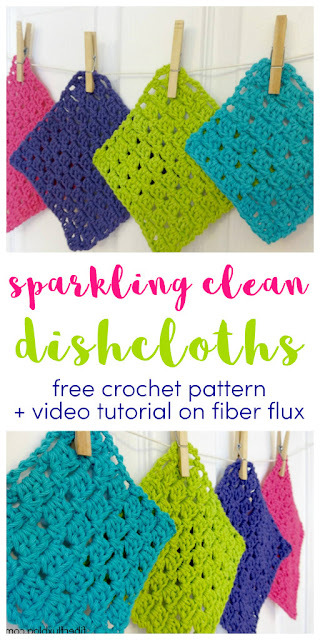 Free Crochet Pattern...Sparkling Clean Dishcloths! 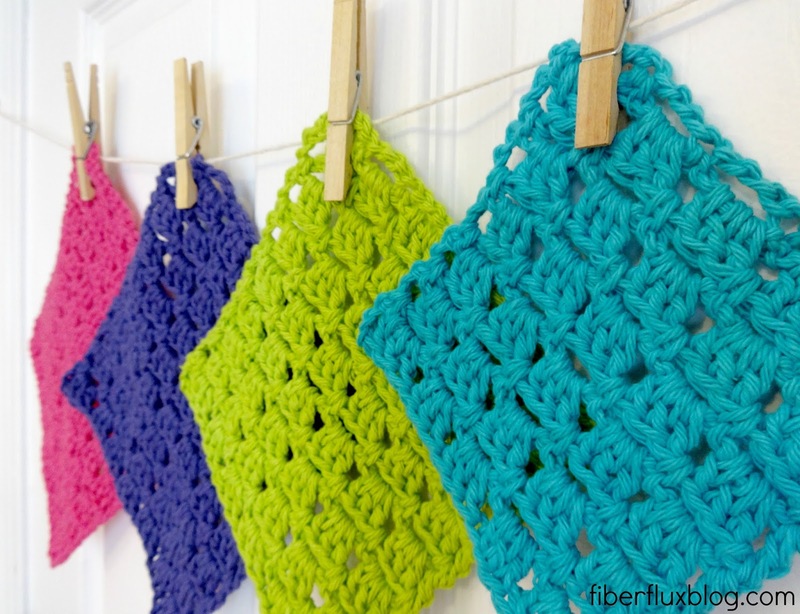 Dishcloths are so fun to make and extremely useful. In fact, they one of the most used items in my household! I find that I am often making them to replace them in my home or for different cleaning tasks. They also make great hostess gifts or to celebrate a new home. These Sparkling Clean dishcloths are the perfect all-purpose dishcloth pattern. 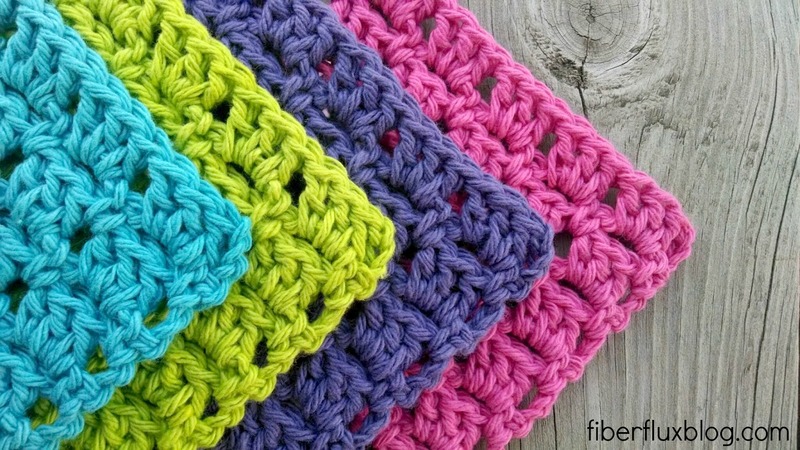 Using a few basic stitches, they also come in four different sizes, from extra small for a pot scrubber, all the way to a large size for a super handy dishcloth. They are quick to whip up and are a lot of fun to experiment with different colors. Repeat rows 1 and 2 until dishcloth is equal in length and height. Beautiful color choices as always!! Thanks for another superb pattern!!! Have a great week! When I was looking at the dishcloths, I thought they looked like your scarf - love this stitch pattern - thanks, as always! Always enjoy seeing your great new ideas. Your tutorial videos are always wonderful too. Love this! So simple yet beautiful. I shared with some girlfriends in a crochet exchange group as I think they'd love it just as much! Very easy to follow pattern I just have one question why does your seem so tight. 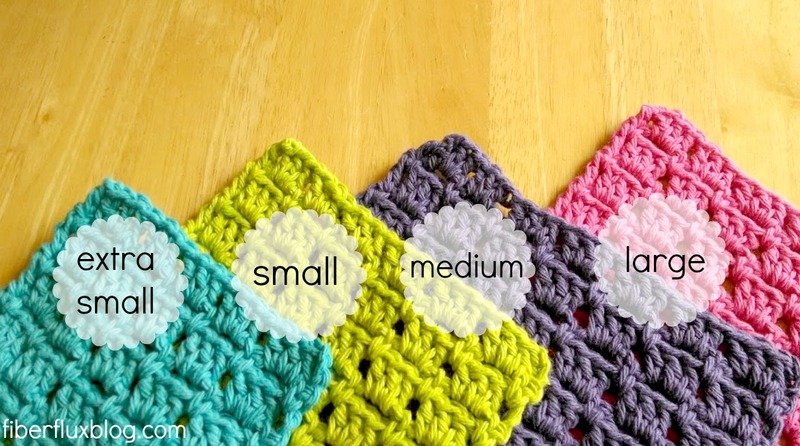 Mine seems awful loose and I'm not a loose crocheter? I love your instructional videos. So clear and easy to follow!